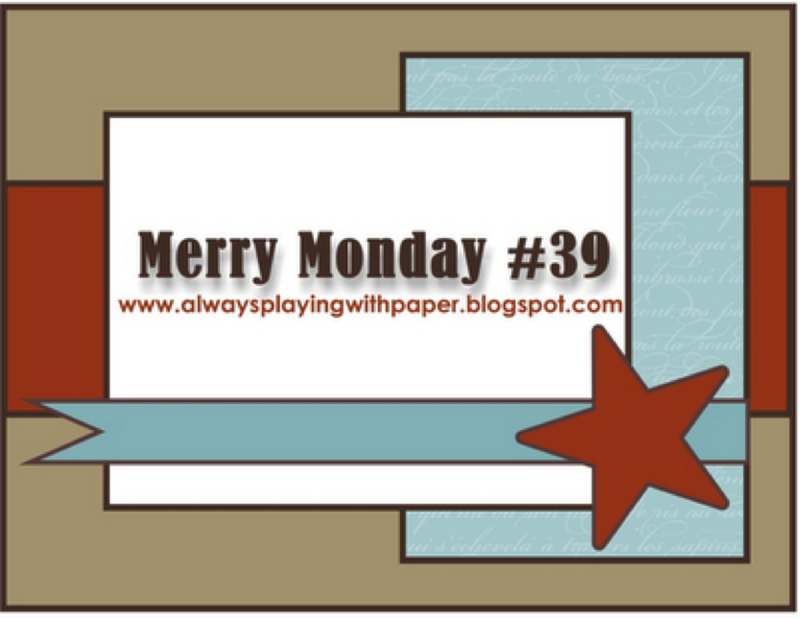 I’m back and this time with my card for Lesley’s Merry Monday Challenge. How are you going with your Christmas cards? I’ve got so many, I’ll be right for the next three Christmases! 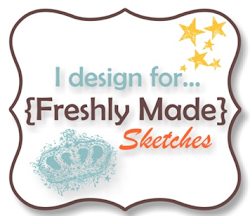 We’d love to see you join us this week – head over to the challenge and check out the gorgeous creations the design team have created. Thanks for stopping by. Your card is over-the-top gorgeous! 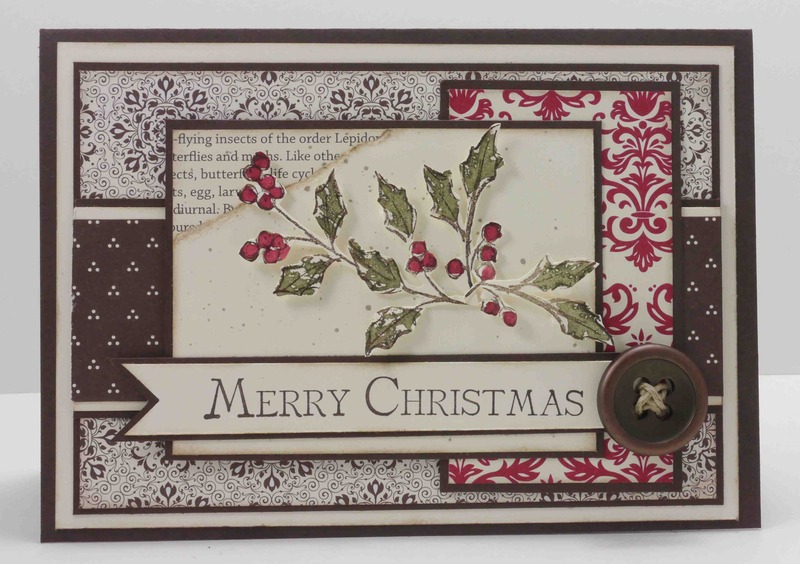 I just adore the way you added that little piece of text paper to the corner, stamping the berries onto it! The colors & image make for one fabulous creation! WOWZA! Look at that fussy cutting…you have the patience of a saint! This is heavenly! Beautiful card. Wondeful layout. Thanks for the deets and the inspiration! Wow, Narelle, that holly is gorgeous and the papers perfect! Another beautiful Christmas card for your stash! This is absolutely gorgeous!! Thank you for sharing your talent with us. Your papers are absolutely gorgeous! I love the pretty holly:) Great take on the sketch! Beautiful card Narelle. Great job with the fussy cutting, the holly is fabulous. I love this mix of papers too. Fussy cutting award to you my friend! Such awesome work and a pretty pop of red designer paper does look good behind the main panel. Love it!